1860. 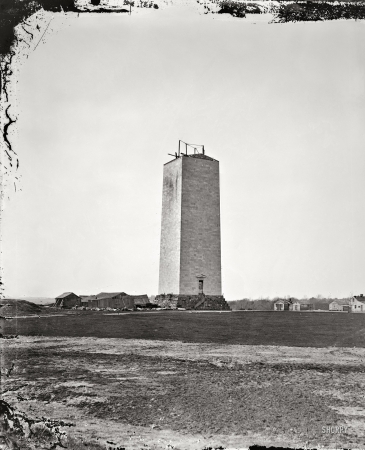 "Washington Monument as it stood for 25 years." Glass plate negative by Mathew Brady.